Here’s a recipe that you’ve really got to see to believe. 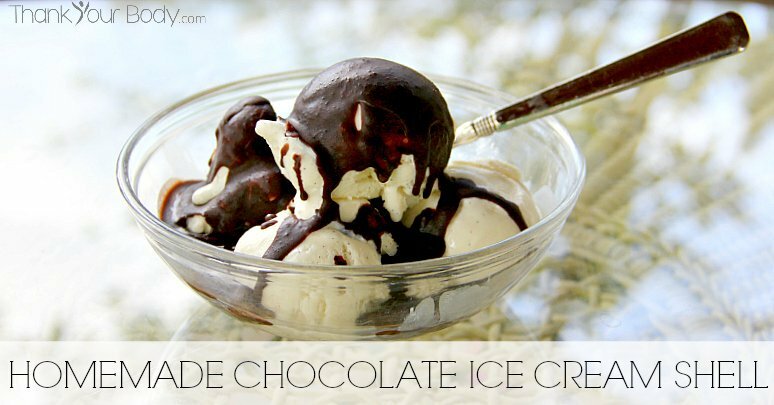 A rich, dark chocolate ice cream topping that magically turns into a crunchy candy shell on top of your ice cream! And the most magical thing about this recipe? You need only 3 healthy, wholesome ingredients to make it. The whole process will take you maybe 3 minutes, and you’ll be elevated to rock-star status in the kitchen when your kids try this awesome summer treat. So what’s the secret? Coconut oil! Seriously, is there anything that’s not amazing about coconut oil? There are so many uses for this wonderful, natural ingredient. At room temperature, coconut oil is a soft solid. When it gets cold, though, it hardens! Mix it with some good quality organic cocoa powder and raw honey, and you’ve got a liquid at room temperature that will harden into rich, crunch candy on contact with ice cream. It’s as easy at that! The best thing about this recipe is that it’s not only magical and delicious, it’s also really good for you! 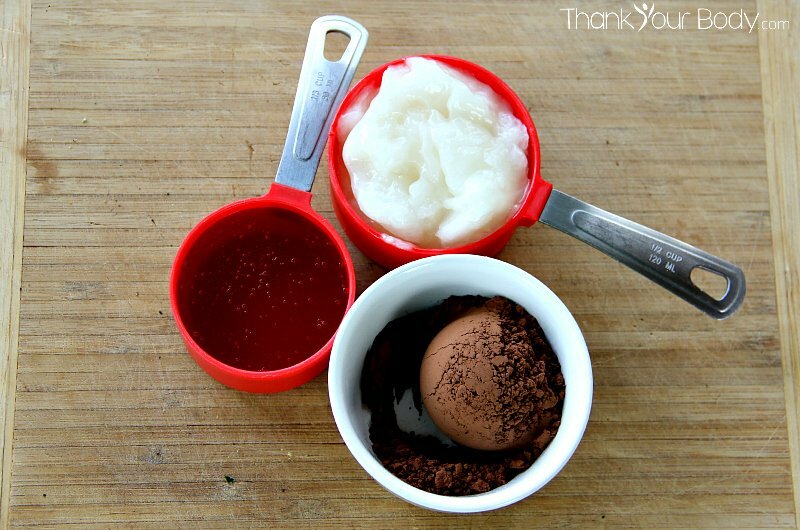 You’re combining the health benefits of coconut oil with endorphin-boosting, antioxidant rich cocoa powder and honey. It stores beautifully on the shelf in a mason jar, ready for the next round (although you’ll want to stir it well before you pour it on). No need to feel bad pouring a generous helping of this treat over your ice cream! And speaking of ice cream…it’s not hard to make your own using organic, grass fed raw cream and just a handful of other wholesome ingredients. The perfect pairing for a summer dessert that no one will forget! I am a lover of ice cream... and this homemade chocolate ice cream shell is a perfect topping to some homemade vanilla icecream. Yum! Heat the coconut oil gently on the stove until it liquifies. Pour the oil into a pint-sized mason jar. Add the cocoa powder and honey and stir well. 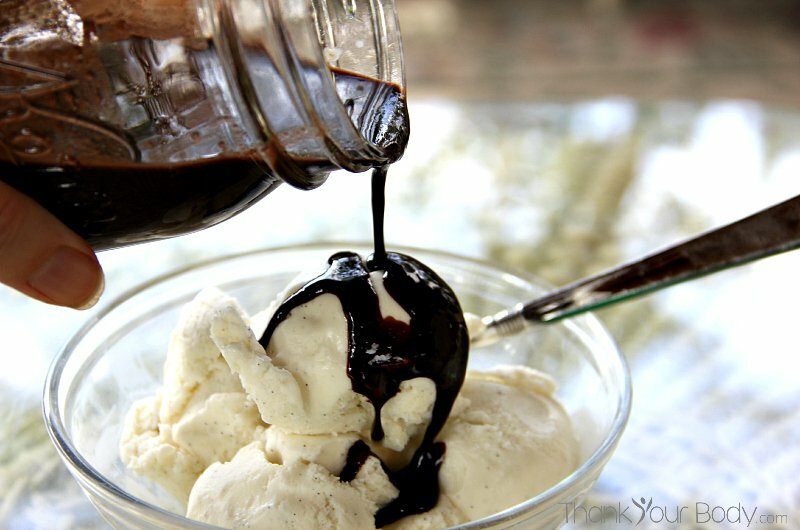 Allow the sauce to cool to room temperature, then stir again and pour over ice cream! Note: Store sauce made with honey in the pantry, sauce made with maple syrup needs to be refrigerated. Stir well before pouring over ice cream, as the honey may separate and settle to the bottom of the jar.